ChromeMarks Lite for Android can sync your Google Chrome bookmarks with your Android device. 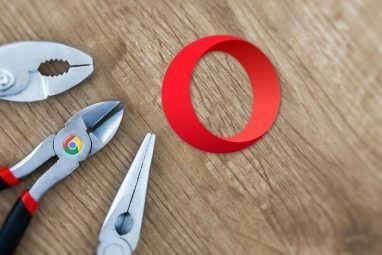 The tool supports syncing bookmarks in both ways between Google Chrome on your desktop and the Android app. Limitations of the free version include that you cannot edit your bookmarks or sync them with the browsers installed on your Android device. 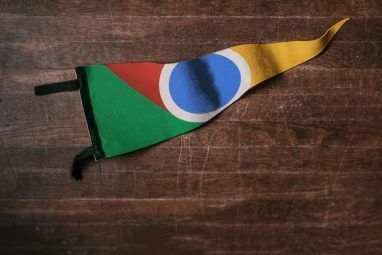 For ChromeMarks Lite to work, you first need to enable syncing of your Google Chrome bookmarks between computers. In the browser, click the wrench icon in the top right and open > Options. It will open in a new tab. Go to > Personal Stuff and click the > Sign in to Chrome or > Set up sync… button, depending on what is displayed for you. In the advanced sync preferences pop-up window, select the items you want to sync, such as your > Bookmarks. When you’re done click OK. Your bookmarks will now be synced with your Google account. 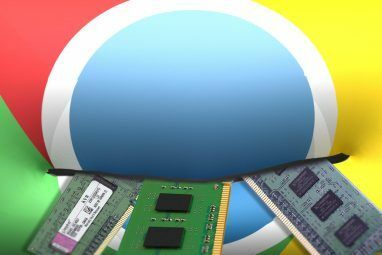 To access your Google Chrome bookmarks on a different installation of the browser, simply perform these same steps and all your synced data will be imported from your Google account and subsequently synced with it. To access the bookmarks that are synced from your Google Chrome desktop browser to your Google account, download and install ChromeMarks Lite. When you first open the app, you will see that there are no bookmarks in the database yet. Click the > sync button to initiate the synchronization. Note that you first have to provide permission to the app. Once this is done, it will initialize and start syncing your bookmarks from your Google account. This procedure will only take a few seconds and then all your bookmarks will be available in the ChromeMarks Lite app, as shown below. Note that ChromeMarks Lite does not support auto-syncing. Hence, to get the latest bookmarks from your Google account, you occasionally need to click the > Sync button in the top right. When you click a bookmark, it will either open directly in your default browser or ask you which browser you want it to open with. By the way, clicking on a bookmark for more than a second will open a menu with options to open it in a new window, share the link or copy the URL. Does ChromeMarks Sync With My Android Browser Bookmarks? ChromeMarks Lite does not offer this feature. To integrate ChromeMarks with your Android browser, you have to upgrade to the full version of the app. Unfortunately, Honeycomb and some Samsung users are partly left out, as the tool does not integrate or sync with the stock browser on Android Honeycomb and some Samsung phones. However, before you risk upgrading, you can verify whether or not your device will support the upgrade options using ChromeMarks Lite. Click the menu icon in the top right, then select > Settings and go to > Upgrade Options. A green checkmark indicates that your device supports the respective feature, while items marked with a red cross will not be available. Since I am on a Samsung Honeycomb tablet, ChromeMarks presently is not able to sync with my browser bookmarks. It is a pity that you have to use a third-party app on your Google Android device to access bookmarks synced to your Google account. However, at least this app comfortably enables you to access bookmarks synced with your Google account and despite the limitations of the free version, it is very useful. I reckon that the paid version is worth upgrading to if your Android device supports syncing with your installed browser. Otherwise it’s only worth it if you want to enable manual editing of bookmarks and auto-syncing. How do you sync bookmarks between your desktop and mobile devices? I have used synchronized Chrome bookmarks since they were introduced. ChromeMarks is a life saver. I can not understand why Google did not include bookmark synchronization from day 1 of Android, It is such an obvious feature. But things are looking up. Chrome bookmark sync works for Android 3 (Honeycomb).It also works in Android 4 (Ice Cream Sandwich), which will soon be on all (new) phones.